An exquisite, silky, fruity red Graves. TERROIR : Clayey gravel and clay-limestone. GRAPE VARIETIES : 70% Merlot. 28% Cabernet Sauvignon. 2% Petit Verdot. GROWING METHODS : Bordeaux-style “à côt” short pruning and single Guyot. Ploughing and controlled grassing. Leaf stripping and thinning of bunches. VINIFICATION : Fermentation in temperature-controlled stainless-steel vats at 28°C. Long maceration period of four weeks. Malolactic fermentation. MATURING : Maturing period in vats: 18 months. TASTING NOTE : Powerful, fruity, spicy bouquet. 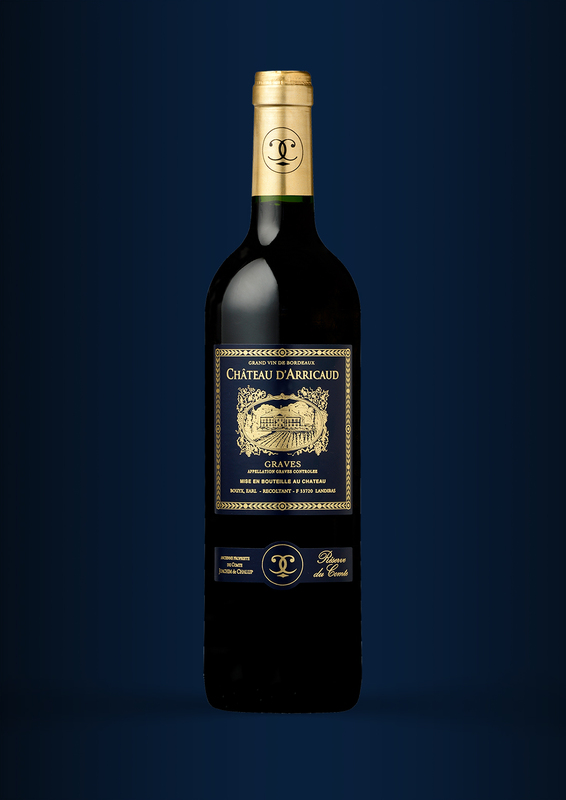 Well-rounded on the palate with notes of ripe fruit and a full-bodied tannic structure. Good length with lingering flavours. FOOD AND WINE PAIRING : Meat and cheeses. Open in advance or aerate the wine by decanting it.